The European Commission filed a notice of opposition to the decision of the Polish Patent Office on the grant of the right of protection for the word-figurative trade mark euro SKLEP R-180808 that was applied for by the Polish company Euro Sklep S.A. from Bielsko Biała. The EC said that the trade mark contains an imitation of the European Union flag because it has five distinctive yellow stars (mullets) arranged in an arc (part of a circle) on a blue background – which obviously violates the official symbol of the European Union. Euro Sklep argued that the opposition is unfounded, because the argument that the trade mark is an imitation symbol is an obvious abuse of the law by the EC, since the examination of signs is to be assessed as a whole, and not by attributing the illusory similarities. The Polish Patent Office invalidated the right of protection. According to the PPO, the average consumer who sees the mark with prominent yellow sign EURO accompanied by five-pointed stars in a semi-circle, will associate it with the flag of the European Union. The PPO pointed out that the use of the EURO caption, as well as graphic elements in the form of a bird or incomplete number of stars, does not rule out the conceptual similarity, since use of the word euro as the dominant element of the mark may exacerbate the association of the recipient that he has to deal with an institution agenda of the European Union. Euro Sklep filed a complaint against this decision and noted that in this case the PPO was not dealing with registration of the flag of the European Communities/European Union as a trade mark, but at most, it would be its imitation from a heraldic point of view. However, the PPO did not properly explain this issue. The Company noted that the imitation prohibited under Article 6ter of the Paris Convention is narrower in scope than an imitation, which normally is considered to be unacceptable between the trade marks. According to Euro Sklep, this view is particularly justified because very often the National flags and emblems contain items commonly used, in particular those relating to flora and fauna, such as lions, bears, flowers, etc., which must remain in public domain for free use. The Voivodeship Administrative Court in its judgment of 7 September 2011 case file VI SA/Wa 1036/10 dismissed the complaint and ruled that the fact of using only half of the symbol did not matter from a heraldic point of view, because the PPO was still dealing with the emblem (flag) of the European Union. Euro Sklep S.A. filed a cassation complaint. The Company argued that the presence of the words on the flag is the negation of the principles of heraldry, and itself refutes allegation of heraldic imitation. Euro Sklep pointed out to couple of CTMs registered by the OHIM that share the same symbols of of yellow stars on blue background. The Supreme Administrative Court in its judgment of 18 September 2012 case file II GSK 1156/11 dismissed the cassation and ruled that the provisions of Paris Convention and Polish Industrial Property Law were introduced to protect National emblems and symbols against dilution. Categories: Art. 131(2)(iii) IPL | Art. 6ter Paris Convention | company name or firm | International law | Paris Convention | personal rights or interests | Polish Act on Industrial Property Law | Polish Supreme Administrative Court | trade mark invalidation | trademark law | Voivodeship Administrative Court. On 20 August 2007, the Polish company ALTA Sp. z o.o. from Poznań applied for the figurative trade mark Z-329092 for goods in Class 5, 42 and 44. The Board of the Red Cros submited to the Polish Patent Office observations as to the existence of grounds that cause a right of protection to be denied. On September 2009, the PPO refused to grant the right. ALTA filed a complaint against this decision. The Voivodeship Administrative Court in its judgment of 12 October 2010 case file VI SA/Wa 1095/10 noted that Article 131(2)(iii) of the Polish Industrial Property Law provides that the right of protection shall not be granted for a sign, if it incorporates the abbreviated names or symbols (armorial bearings, flags, emblems) of other countries, international organisations, as well as official signs, hallmarks indicating control and warranty adopted in other countries, if the prohibition of registration follows from international agreements, unless the applicant is able to produce an authorisation issued by a competent authority, which authorises him to use such signs in the course of trade. The Court ruled that this prohibition applies not only to those symbols as such, but it also prohibits the registration and use of the trade marks that are some kind of imitation of those symbols and copying the relevant characteristics of the heraldic symbols is this kind of imitation. The PPO rightly found that the trade mark in question contains the image of the cross which is at least an imitation of the symbol of the International Red Cross because of similar color (red) and shape. 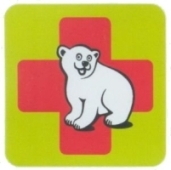 Placing the image of a bear on the cross does not change the fact that this trade mark contains also an image of the cross imitating the Red Cross sign. The provision of Article 131(2)(iii) of the IPL excludes the possibility of granting trade mark rights to the signs that contain symbols of international organizations (if there is no consent of the holder), so other elements of the mark does not matter. Thus placing in the applied sign the image of a cross which is at least an imitation of the International Red Cross symbol, deprives the sign the possibility to be registered as a trade mark. ALTA filed a cassation complaint. 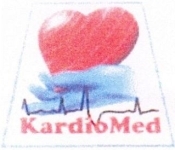 The Supreme Administrative Court in its judgment of 27 March 2012 case file II GSK 332/11 dismissed it. Categories: absolute grounds for refusal | Art. 131(2)(iii) IPL | Art. 6ter Paris Convention | International law | Paris Convention | Polish Act on Industrial Property Law | trademark law | Voivodeship Administrative Court. 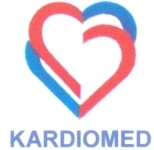 On 30 October 2002, Centrum Szybkiej Diagnostyki Kardiologicznej “KARDIOMED” Maciej Żabówka, Maciej Bylica from Tarnów applied for the word-figurative trade mark KARDIOMED for goods in Class 36 and in Class 44 such as rental of medical equipment, devices and medical apparatus. On 1 August 2004, the Polish Patent Office granted the right of protection R-180711. Another Polish entrepreneur, Centrum Kardiologiczne KARDIOMED Lucja Kieras-Deżakowska from Sosnowiec, filed a notice of opposition against the decision of the PPO on the grant of a a right of protection. The opposing party raised a number of arguments: the infringement of the rights to the company name, the misleading nature of the questioned sign, that the application for a trade mark was made in bad faith, confusing similarity. Lucja Kieras-Deżakowska argued that on 8 August 2001 she applied for the wor-figurative trade Mark Kardiomed for goods in Class 44 such as medical services for people in medical consulting rooms, counseling and medical care, m dical diagnostics, echocardiography, ultrasound, electrocardiography, stress tests, heart rate and pressure records, medical examination, physiotherapy, psychotherapy, paramedical services. The decision on the grant of the right of protection R-162886 was given on 6 May 2005. Ms Kieras-Deżakowska claimed the similarity of signs and services. The Adjudicative Board of the Polish Patent Office in its decision of 13 September 2010 case no. Sp. 541/07 dismissed the opposition. The PPO ruled that the services are different. And although the signs do have similarities, it eliminates the risk of confusion. The PPO also noted that the civil court, should assess whether the proprietor has committed an act of unfair competition. As for other grounds of the Board found no evidence to support them. The decision may be appealed against to the Voivodeship Administrative Court in Warsaw. Categories: Art. 131(1)(i) IPL | Art. 131(2)(iii) IPL | Art. 132(2)(ii) IPL | company name or firm | Polish Patent Office | similarity of goods | similarity of services | similarity of signs | trade mark examination | trade mark invalidation | trademark law.